For all the hazards that come along with older cars—rips in their vinyl, paint missing, smoking, rusted frames, and oil leaking—I will admit they are fun. I owned a 1969 Chevy Impala and for all the bad, one thing going for it was that it had been built to go fast. Even though it had a 4 barrel Quadrajet carburetor on a 350 cu in small block driving 350 horses into a Muncie 4 speed transmission, it still would only carry 6 people (well, and the occasional trunk-ride). As fun as my car was, it ultimately wasn’t very useful. Eventually, I sold it to purchase a more economical commuting car, and my decline into becoming an adult was well on its way. I often think about that car and the huge oil stain on my parent’s driveway and realize that there is an important difference between performance and power. Take the computer that you use for your CAD tools as an example. 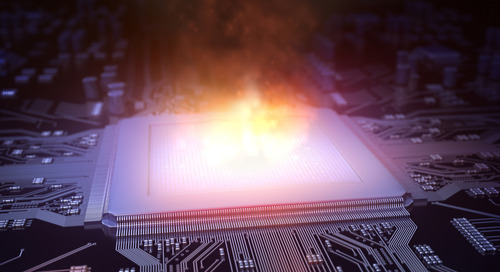 For years PCB designers have wanted more powerful computers and we thought that going to a 64-bit computer would be the equivalent of dropping a V8 into a Pinto. What we have found though is that instead of more power, 64-bit gives us a higher level of performance. Let’s take a look at what this means, and why you should consider moving to a 64-bit CAD system if you aren’t already using it. 64-bit isn’t a matter of increasing the horsepower of your computer, but instead increasing the amount of memory that it can work with. Computers with a 32-bit processor can handle 4 Gigabytes or less of physical memory while a 64-bit processor can handle over 4 billion times as much. Of course, you have to have the computer configured with more memory, and you have to be using an operating system that is designed to take advantage of the greater amounts of memory. You will have much more memory available for your CAD system to work with on a 64-bit system than you ever had on a 32-bit system. The reason that more memory is important is that as operating systems and applications increase in complexity, they take more physical memory to run. On top of that, today’s applications process more and more data which also requires more memory. Although it seems like more horsepower would be the answer, consider my ‘69 Chevy. Yes, it was powerful, but it still was only going to carry 6 of us at one time. If I needed to carry more than 6 people I would have had to make multiple trips. On the other hand, if I had a fleet of cars I could have carried hundreds of people instead of just 6. I didn’t need a rocket, I just needed more resources to get the job done. In the same way, more access to memory is what your computer needs to get the job done. Graphics: CAD systems have a lot of graphics that they are processing, especially as they are rendering more and more in 3D. In addition, the more visually appealing a CAD system is, the more memory it will have in generating its appearance. The increased memory of a 64-bit system will allow your computer’s graphics to perform at their peak efficiency. Simulators and Analyzers: Many of these systems require the increased memory of a 64-bit system and won’t work in a 32-bit system. Through their necessity to access and store data immediately, as well as output duplicate amounts of data, these tools will require more memory. Layout: The layout portion of your CAD system needs a lot of memory, and as the complexity of PCB layouts grows, the need for increased physical memory will grow as well. A 64-bit system will get past the 3 or 4 Gigabyte limitations of a 32-bit system and allow your layouts to increase in size and layer count. Although the technology of a 64-bit system does give you more power, the real benefit is in the increase of the physical memory that your system will now have access to. Think of a horse confined in a small stable where it only has enough room to take a few steps. Although very strong, that horse will not be able to accomplish much due to the limitations of its environment. Now think of that same horse out in the open countryside free from the restrictions of the stable. Whether it is pulling a cart, carrying a rider, or simply running free, the horse will be able to accomplish much more than it ever could while confined in the stable. Having access to a power distribution network analyzer and other simulators can vastly improve the reliability of your designs. A 64-bit computer will run at a higher level of performance because it is free from the memory limitations of a 32-bit system. If you haven’t done so already, I would encourage you to look into moving to a 64-bit computer. Once you’ve done that, you can then use a 64-bit CAD system that will give you a higher level of performance by best utilizing the expanded memory of the 64-bit computer. 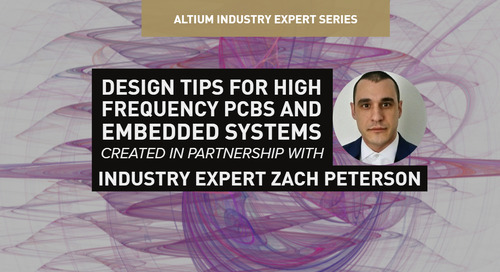 Leveraging the higher performance of a 64-bit computer with your PCB design software will yield more efficient and more accurate designing. 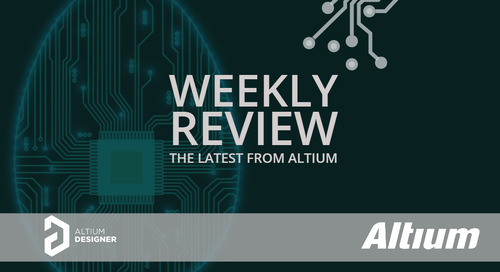 The new and enhanced unified design environment of Altium Designer 18 will help you successfully complete all aspects of your next PCB design. 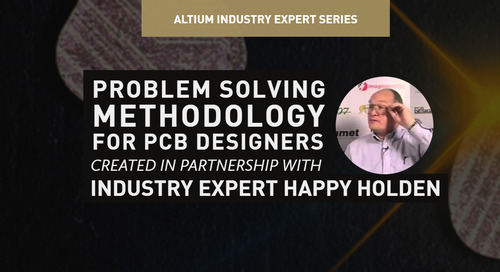 Would you like to find out more about how Altium can help you to design your next PCB? 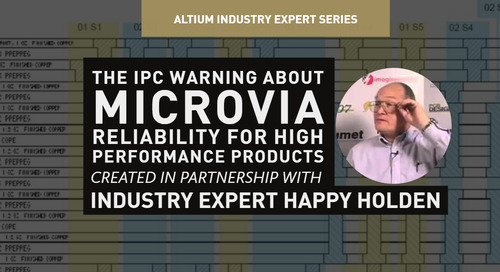 Talk to an expert at Altium. Preparing Documentation for Output – Who needs What? 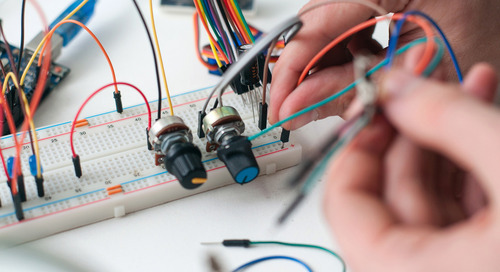 Learn about the many ways to develop documentation for board fabrication and assembly. Read to get the week in review. 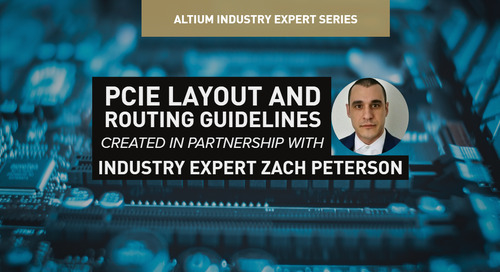 Compared to other high speed boards, PCIe layout routing follows simpler design rules that make design easy. Don’t PANIC! Let Me Explain. 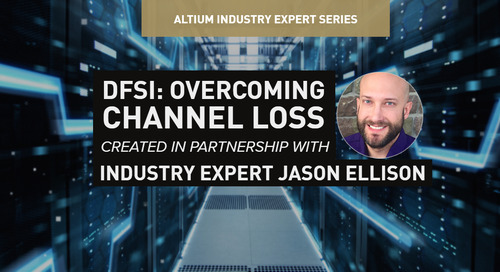 Explore various options for reducing loss. 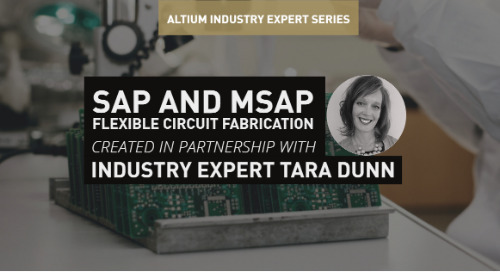 SAP and mSAP are not new terms to the electronics industry, find out exactly what they are. 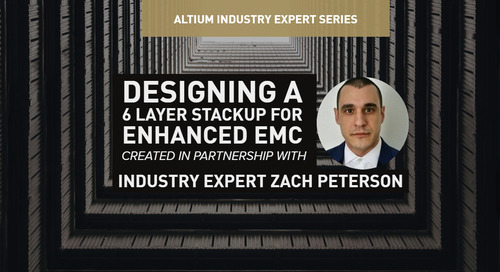 Guidance on the process of designing PCB stackups. 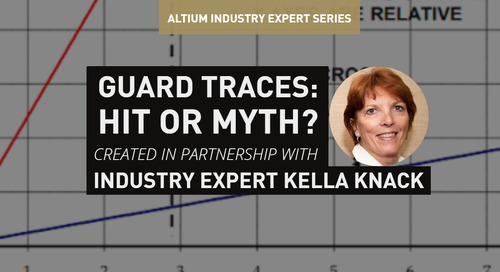 Guard Traces: Hit or Myth? Guard traces, regardless of their implementation, provide no real value. 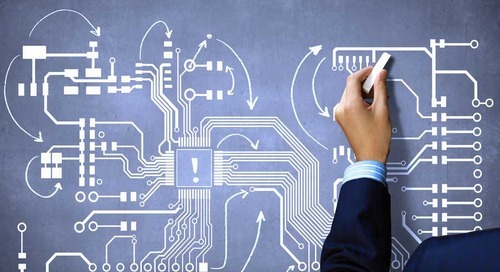 Problems in production will involve numerous ‘cause-factors', find out how to approach problem solving like an expert. Designing the right stackup is all about ensuring signal integrity. 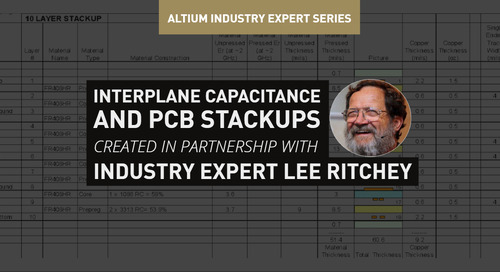 Find out which 6 layer PCB stackup is right for your next board in this article. 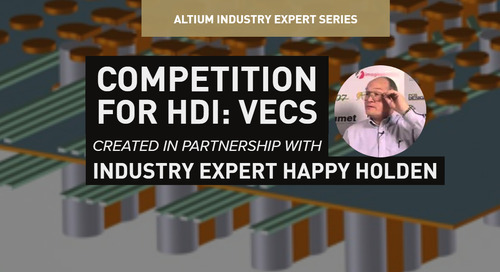 Learn about Vertical Conductive Structures-VeCS. 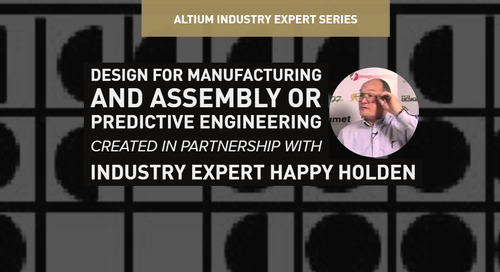 Want to know the difference between Design for Manufacturing, Design for Assembly and DRCs? 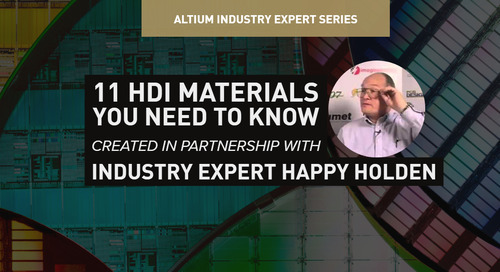 Looking for information about the materials used to manufacture HDI circuits? 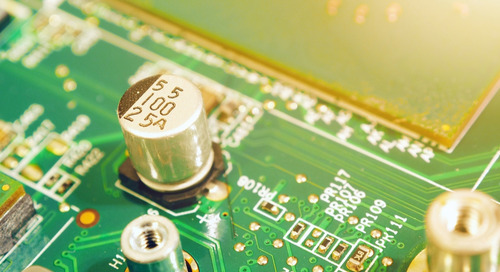 Materials for High Density Interconnects, a serious subject for PCB designers and EEs. What is important to understand about flex base materials? Looking for information about transmission lines and terminations? 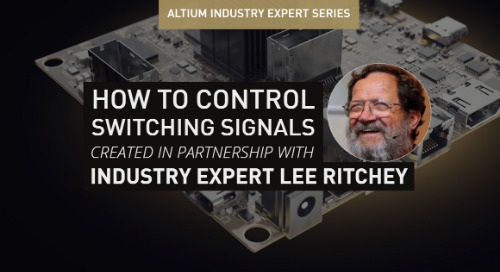 Learn from the experts about creating and managing electromagnetic fields and how series termination works. 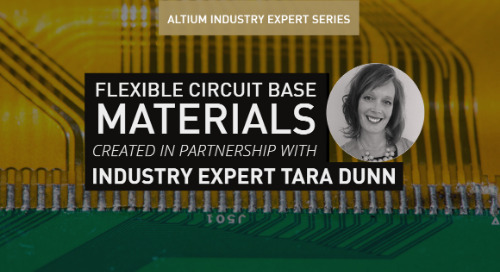 Some of the best multilayer design tips for your first multilayer PCB design. Read on to find out more. 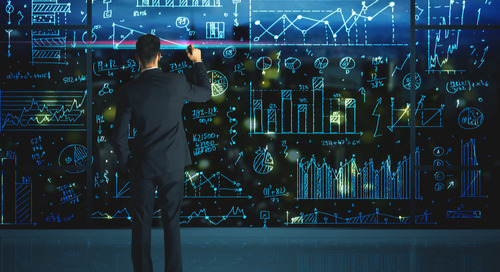 Just as utilizing the SMART system for data management will help increase design efficiency, so will using PCB design tools with a unified data environment. 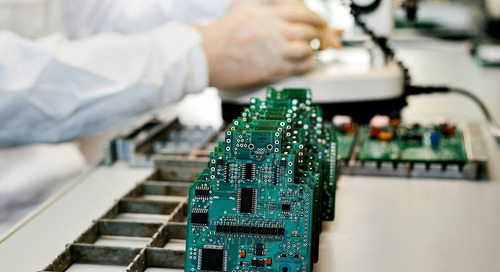 Explore the top PCB design guidelines for manufacturable, functional PCBs. By locating short circuits on a PCB, your design failure doesn’t have to be as long of a set-back as it could be. 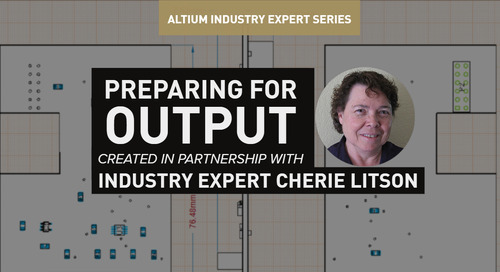 Find tips within on how to find where in the production process shorts occur.